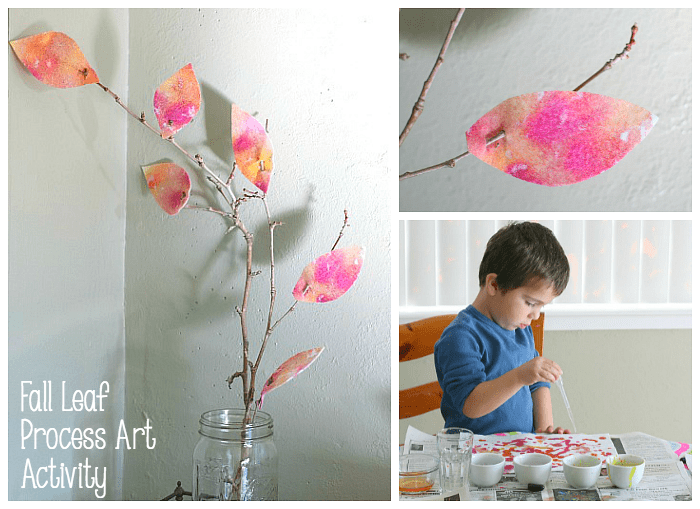 These felt fall leaves made with watercolor paints are a fun process art project for kids of any age! 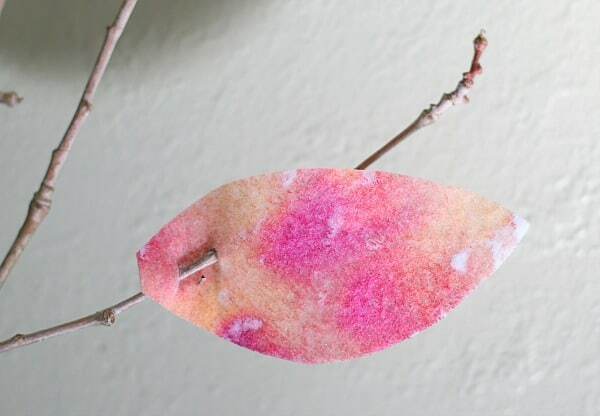 We added our felt leaves to some twigs we found outdoors in order to incorporate natural materials into our creation. They made a beautiful fall decoration for our home. 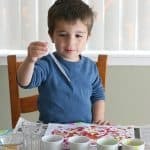 Recently I shared how Theo and I tried a new art technique- painting with watercolors on white felt. 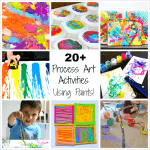 I would easily say this was by far one of Theo’s favorite process art experiences. 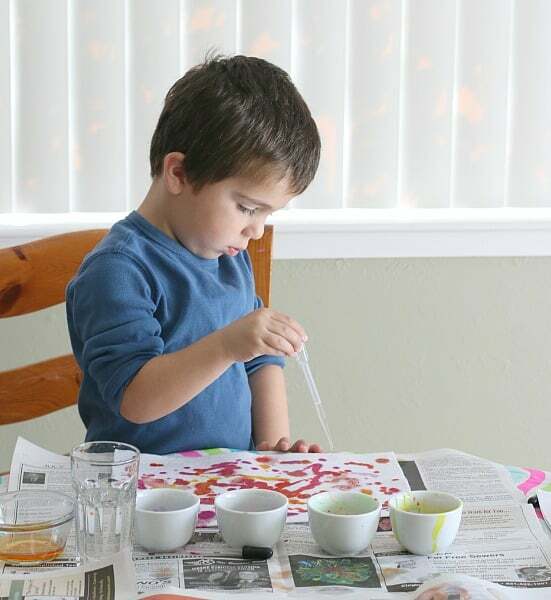 He was so immersed in creating and loved exploring the watercolors on such a unique canvas. 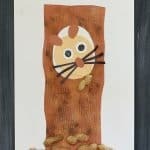 We saved the finished art pieces from a few weeks ago and turned some of them into fall leaves to decorate our home for fall. 1. 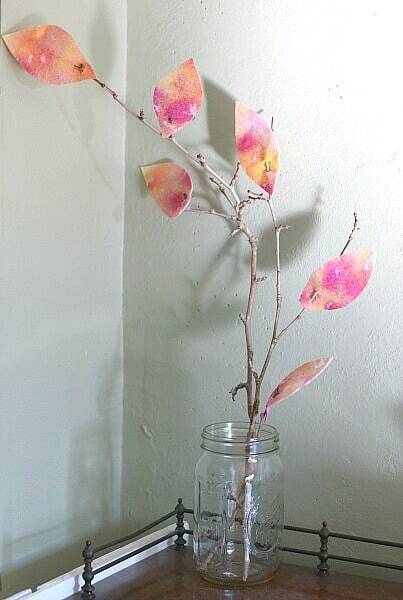 Find some twigs from outside to use for the decoration. 2. 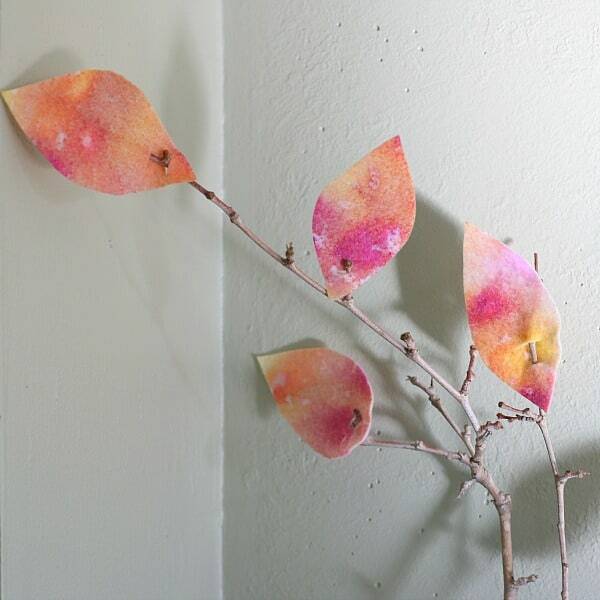 Cut leaf shapes out of your watercolored felt. 3. 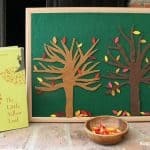 Make two snips in your felt leaf. Weave the twig through the snips to attach the leaf. 4. 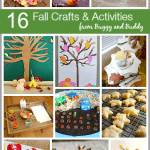 Do this for all your leaves. 5. 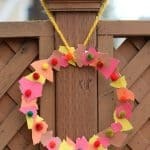 Display your finished felt leaves! They look amazing, and so simple! These turned out really nice! 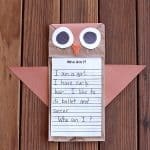 I like the eye dropper idea. Thx for linking it up at the Thoughtful Spot! These look so beautiful. 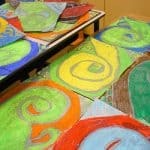 What a fab process art activity and the leaves are a beautiful thing to make out of the felt.